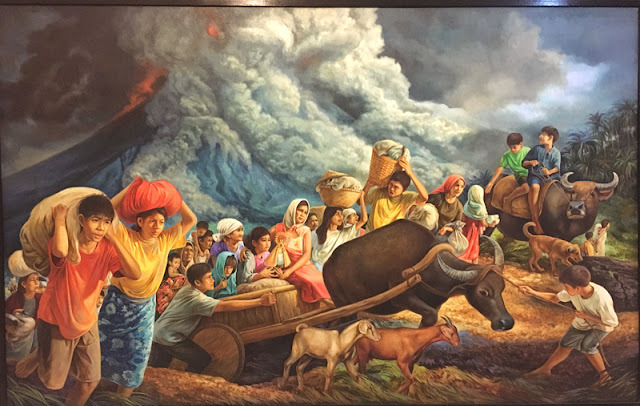 Angono continues to uphold its name on being the Art Capital of the Philippines, as it’s brimming with noteworthy artworks, outstanding talents and more. The inspiring town will certainly give you a walk that's worth remembering, as the city is filled with museums and galleries that display impressive paintings and sculptures, and of streets lined with murals that pay tribute to its local artists. Best of all, Angono is also the home of the Oldest Artwork in the Philippines, the Angono-Binangonan Petroglyphs. After sampling a good portion of Kumanoy and Pancit Malabon at Tindahan ni Inday, we headed towards the Angono Municipal Hall to do a courtesy call to the Mayor. 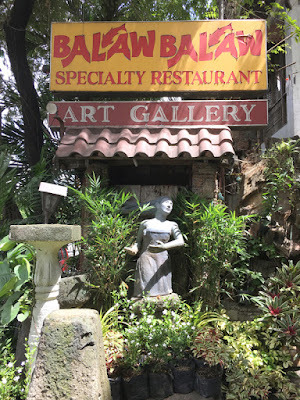 Soon after, we had our lunch at Balaw-Balaw Specialty Restaurant and Art Gallery. Mrs. Luzvimin Vocalan and her late husband Perdigon Vocalan (a celebrated painter and sculptor of Angono), named the restaurant after a specialty dish called ‘Binurong Hipon’, a local dish made out of fermented shrimp paste. The restaurant, which serves a delectable selection of eats (some that are even exotic in origin), was also turned into an art gallery. 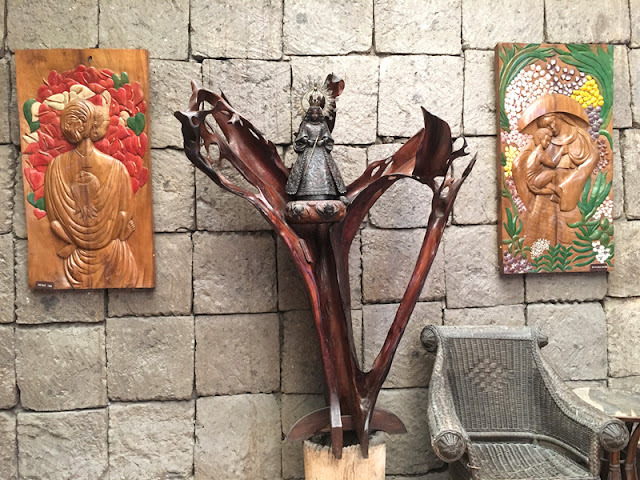 They curate not only Mr. Vocalan’s vibrant paintings and wooden sculptures but also displays several visual pieces from other Angono artists. It is inspiring to witness a tight-knit family who loves to paint, just like the Blanco Family. 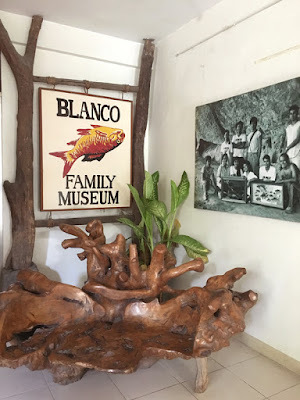 Having built a museum of their own, the Blanco's exhibited their own artworks in the building, several of which depicted scenes of their town and the rural life that embodied it. 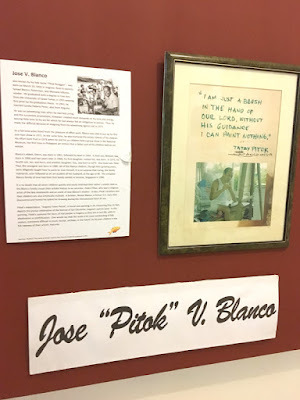 The patriarch of the family, the late Jose "Pitok" V. Blanco (along with his wife Loreto “Loring” Blanco), was able to hand down his talent and creativity into all of his seven children: Glen, Noel, Michael, Joy, John, Kaye and Peter Paul. Though each of them uses distinct painting techniques, their artworks still show great consistency. It's as if you're looking at printed photographs, when in fact, all of their illustrations were done by hand. 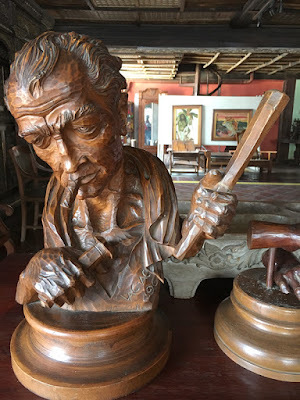 Visiting the home of Carlos “Botong” Francisco was an honor in its own, as we got to see a great display of his works and memorabilia. 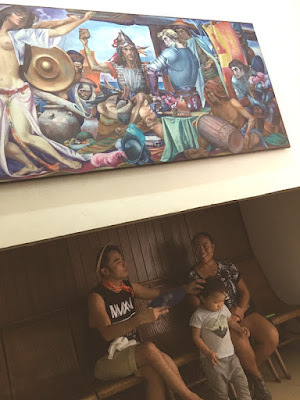 Aside from his grandson’s artworks, “Totong” welcomed us to his grandfather’s gallery, which was filled with old paintbrushes, paint, mural paintings, self-portraits, and even personal items (i.e. 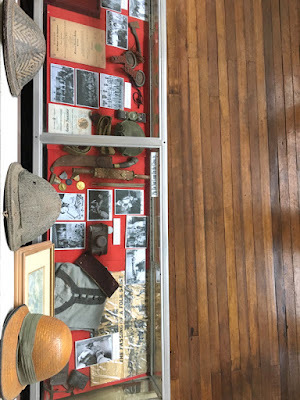 magazine clippings, medals, hats, shoes, awards and plaques, drafting table). The family doesn’t require an entrance fee to tour around the house. They, however, encourage visitors to find appreciation and importance in the works of Botong, and to speak about his creations, so that his work will continue to serve as an inspiration for generations to come. When I saw the Street Gallery by Doña Aurora Street, I remembered the painted walls of Penang, Malaysia. So you can just imagine how excited I was about exploring the art-infused thoroughfare. 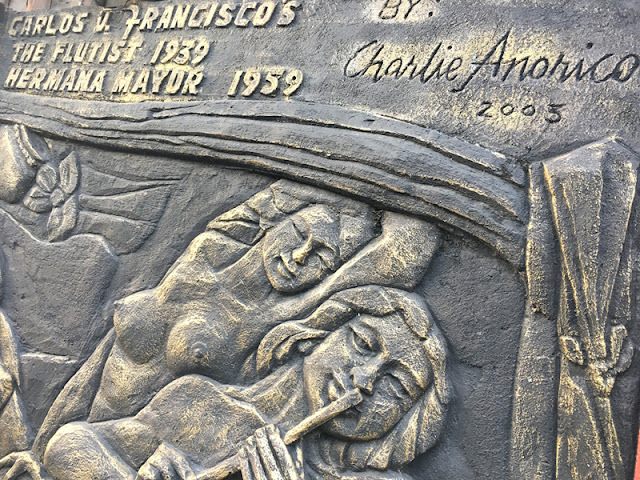 I definitely appreciated the fact that Angono paid tribute to their town by showcasing the finest works of Angono’s well-loved National Artists: Carlos "Botong" Francisco (muralist) and Lucio San Pedro (composer and teacher). 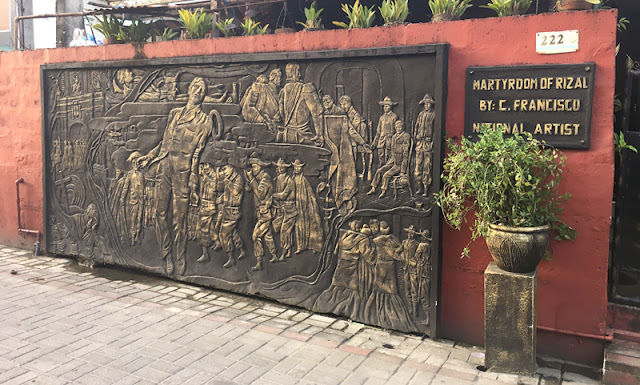 You'll be able to see Botong’s murals carved on exterior walls and fences lined up down the road, which have been preserved through concrete by Charlie Anorico. 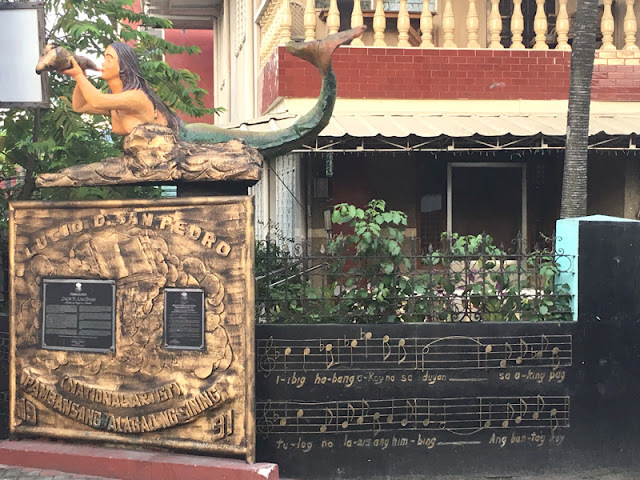 At the end of the lane, you will also find San Pedro’s famous “Sa Ugoy ng Duyan” (a Filipino lullaby that he co-wrote with Levi Celerio) composition made into a concrete mural. We wrapped up our first day in town by visiting Angono's Lakeside Park. “Wawa”, as the locals call it, is an ideal place for morning jogs or night strolls. 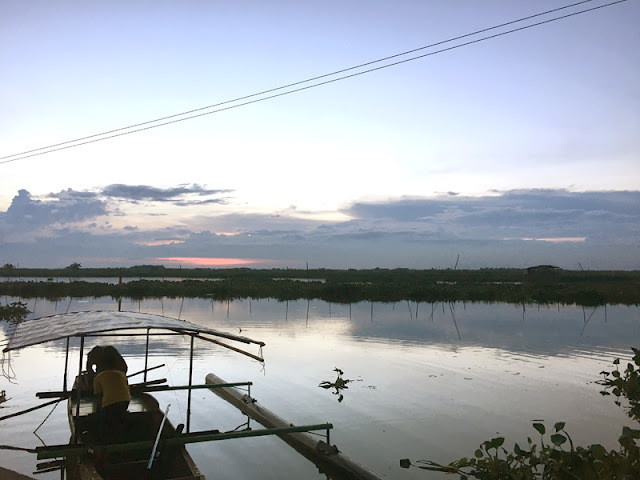 You can also bike around its safe lanes (rent one or bring your own), buy different types of street food, or hire a boat and cruise through the reservoir, while viewing the sunrise or sunset. You will also find the iconic mermaid statues at the park, which are close to the zip line and playground. 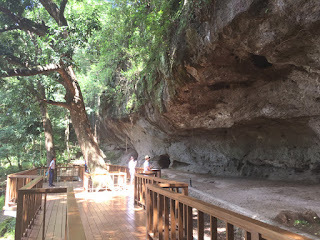 The Angono-Binangonan Petroglyphs site, which borders Angono and Binangonan, requires a short but easy hike. According to the National Museum, the rock art is considered as a "highly significant cultural landmark". 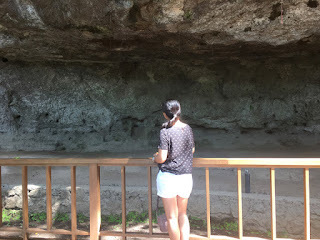 The shallow rock shelter displays 127 stylized carvings of static figures (both human and animal-like), several of which are not clearly visible but can still be seen and admired from afar. 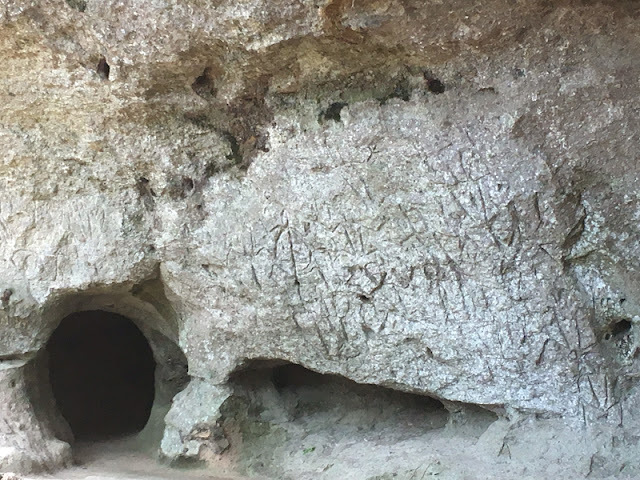 Declared as a National Cultural Treasure (also listed in the World Inventory of Rock Art), the Angono-Binangonan Petroglyphs were also proclaimed "as one of the most imperiled historic sites in the world by the World Monuments Watch and the World Monuments Fund". Special thanks to Angono Tourism, Celine Reyes, and Villa Jhoana Resort for taking care of us while we were in Angono! You can also check this LINK for more updates on the Higantes Festival.